Usually when you think of the word “tethering,” you think of using your mobile device’s data connection to provide the glorious Internet awesomeness of memes and lolcat images to your desktop or laptop computer. Often times, however, you may find yourself in need of Internet access on your mobile device in an area lacking WiFi or network connectivity. In these cases, you must reverse tether. XDA Forum Member phamthanhnam created a detailed guide for rooted users that allows you to share your PC’s Internet connection with your mobile device over USB. This works with Windows, Linux, and Mac, and it does not require any additional tools. However, you must enter in some terminal commands on your mobile device. As stated above, you need to be rooted. Further, your device must support USB tethering (under Wireless & Networks). Often, this is disabled by stock ROMs, but can be easily re-enabled. 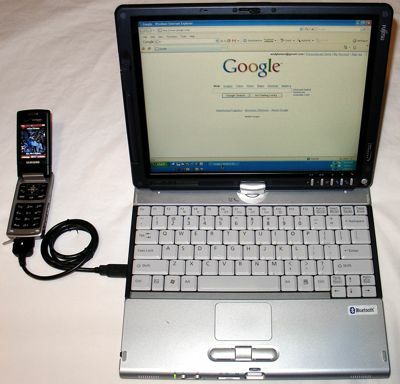 You also need a PC with a working Internet connection, a USB cable, and a terminal emulator on your Android device. Alternatively, you could enter the Android terminal commands via ADB rather than terminal emulator, if you have it installed. Now, we’re not going to lie. There are quite a few steps required to make this work. However, the end result is reverse tethering without having to install ANY additional bloat-inducing software. Grab a cup of coffee and make your way over to the guide thread to get started.